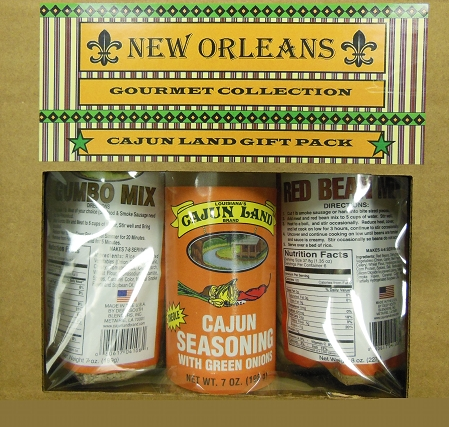 This Cajun Land Gift Pack is a part of the New Orleans Gourmet Collection. The Cajun Land brand is made right here in New Orleans. This gift pack includes: 1- 7oz Cajun Seasoning, 1- 7oz Gumbo mix (makes 7-8 servings), and 1- 8oz Red Bean Mix (makes 4-6 servings).